Biodegradable wood golf tees. Custom imprinted. Bulk packaging. Size: 2 1/8" L Max Imprint Area: Shaft: 1 1/8" W x 1/2" H. WT_100: 4 LBS. Paper-Proof: $10. (Required on all labels). Drop your name on the Greens with these bright, handy Ball Markers. Custom printed with your name or logo. Single or multi colors. Size: 3/4" Diameter. Max Imprint Area: 5/8" Diameter. WT_100: 1 LBS. Paper-Proof: $10. (Required on all labels). 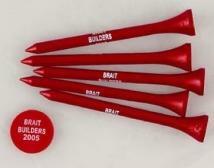 Top quality wooden tees. Short tees are 2-1/8" long. Long tees are 2-3/4" long. 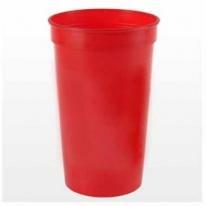 Many assorted colors available. Imprint Area: 7/16"h x 1"w Packaging: Bulk. Shipping Weight: 3 Shipping Quantity: 1000. 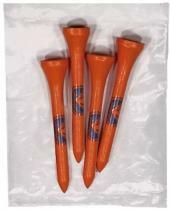 Quality wooden 2-1/8" tees. 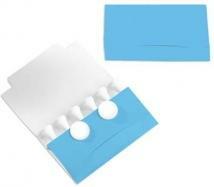 Size: 2-1/8" Imprint Area: 1" W x 7/16" H Packaging: Bulk packed. Weight: Approx. 3 lbs./M. Economical plastic ball marker. 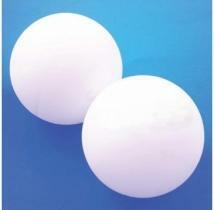 Imprint Area: 1/2" diameter Packaging: Bulk packed. Weight: Approx. 2 lbs./M. Ball Marker, Full Color Digital. 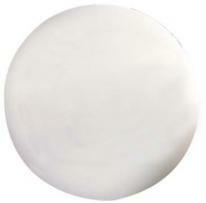 Imprint Area: 11/16" Diameter Packaging: Bulk packed. Weight: Approx. 2 lbs./M. Inexpensive plastic green repair tool. Imprint Area: 7/8" W x 5/8" H Packaging: Bulk packed. Weight: Approx. 15 lbs./M. 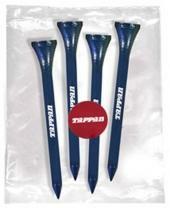 Indispensable Divot Repair Tools take on an added dimension with your name custom printed on each. Opt for your favorite or mixed colors. Custom color call for quote with minimum quantity 25,000. Bulk packaging. 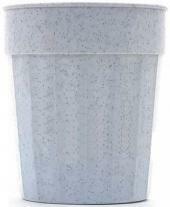 Size: 2 3/4" W x 1" H. Max Imprint Area: 1 1/8" W x 1/2" H. WT_500: 10 LBS. 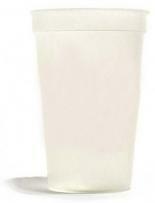 Biodegradable corn plastic tees Made in the USA. (1) Imprinted Ball Marker and (3) Imprinted 2 3/4" Nature Ad Corn Plastic Tees. Product Dimensions: Ball Marker: 7/8" diameter. Tee: 2 3/4" long. Imprint Area: Ball Marker: 1/2" diameter. Tee: 5/16" H x 1" W. Packaging: All items in one poly bag. Shipping Weight: Approx. 5 lbs. per 250. 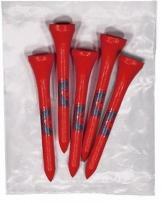 2-1/8" tee 4 tees per pack. 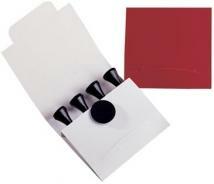 Size: 2-1/8" Imprint Area: 1" W x 7/16" H Packaging: Bulk packed. Weight: Approx. 20 lbs./M. Five 2-3/4" Tees. Imprint Area: Tee: 7/16" H x 1-3/8" W Packaging: Bulk. Individually poly-bagged Shipping Weight: Approx. 8 lbs. per 500. You'll register a cool score with customized, wrap around imprints of your name on these small gift sets of biodegradable Tees. 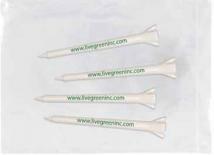 4 biodegradable tees. Available in single or mixed colors. Bulk packaging. 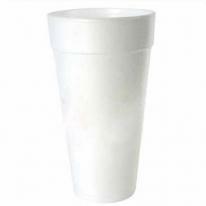 Size: 4 1/4" W x 2 3/4" H. Max Imprint Area: 1 1/8" W x 1/2 " H. WT_100: 2 LBS. Paper-Proof: $10. (Required on all labels). Contains 5 golf tees. Less than 1st column quantity not available. Imprint Area: 7/16"h x 1"w Packaging: Bulk. Individually polybagged. Shipping Weight: 4 Shipping Quantity: 250. This polybag full of goodies is great for tournament giveaways. 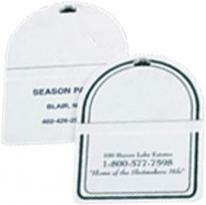 Product Includes: 5 imprinted 2-1/8" tees, 1 imprinted quarter mark. Tee Item Colors: Assorted Colors, Black, Blue, Dark Blue, Natural, Red, White, Yellow. 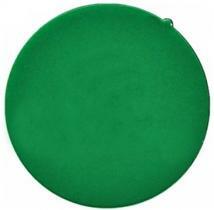 Ballmarker Colors: Assorted Colors, Black, Dark Blue , Red, White, Yellow. 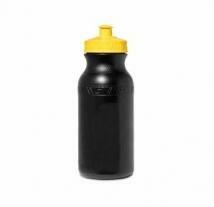 Notes: Components have black imprint and come in assorted colors unless specified. 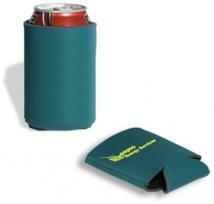 Size : 4"w x 6"h x 1/2"d. Imprint Size: Top of Quarter Mark (Standard): 3/4" dia., 2 color(s) max. Packaging: Polybagged Pack Of: 1000 Weight: 20 lbs. 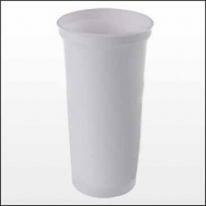 4 Tall Tees Packaged Four 2-3/4" Tees. Imprint Area: Tee: 7/16" H x 1-3/8" W Packaging: Bulk. Individually poly-bagged Shipping Weight: Approx. 7 lbs. per 500. Four 2-3/4" Tees 1 Ball Marker. Item Colors: Ball Marker: Black, Lt. Blue, Dk. Blue, Red, Yellow, Beige, White. Tees: White, Black, Blue, Green, Natural, Orange, Red, Yellow. Imprint Area: Tee: 7/16" H x 1-3/8" W Packaging: Bulk. Individually poly-bagged Shipping Weight: Approx. 8 lbs. per 500. Lists every game in the season in a handy sliding chart. Conferences and divisions help you chart your team toward the playoffs! Interactive slide chart Great for mailings, trade shows, take-alongs. Materials: Paper. 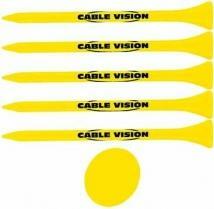 Size: 3-3/4"w x 8-1/2"h Imprint Area: Front, 2-1/4w" x 1-1/8"h, 2 color(s) max. Packaging: Bulk Pack Of: 500 Weight: 21 lbs. 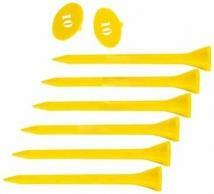 The plastic golf tee has gone biodegradable! Keep your greens clean and easy to maintain Price includes one color imprint Available in white only. Actual Size: 2-3/4" L Imprint Area: 3/8" H x 1-3/8" W Packaging: Bulk. Individually poly-bagged Shipping Weight: Approx. 5 lbs. per 250. Five 2-3/4" Tees 1 Ball Marker. Item Colors: Ball Marker: Black, Lt. Blue, Dk. Blue, Red, Yellow, Beige, White. Tees: White, Black, Blue, Green, Natural, Orange, Red, Yellow. Imprint Area: Tee: 7/16" H x 1-3/8" W Packaging: Bulk. Individually poly-bagged Shipping Weight: Approx. 9 lbs. per 500. 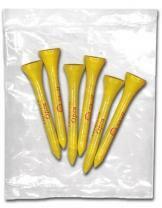 Biodegradable corn plastic tees Made in the USA. (1) Imprinted Ball Marker and (5) Imprinted 2 3/4" Nature Ad Corn Plastic Tees. Product Dimensions - Ball Marker: 7/8" diameter. Tee: 2 3/4" long. Imprint Area - Ball Marker: 1/2" diameter. Tee: 5/16" H x 1" W. Packaging: All items in one poly bag. Shipping Weight: Approx. 6 lbs. per 250. 4 tee golf pack. Size : 2 7/8" x 2 1/2"
This polybag full of goodies is great for tournament giveaways. 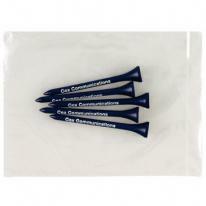 Product Includes: 5 imprinted 2-3/4" tees, 1 imprinted quarter mark. Tee Item Colors: Assorted Colors, Black, Blue, Dark Blue, Natural, Red, White, Yellow. 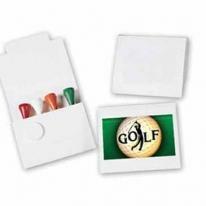 Ball marker Colors: Assorted Colors, Black, Dark Blue, Red, White, Yellow. 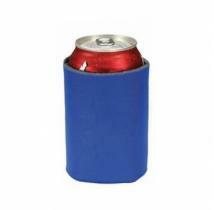 Size : 4"w x 6"h x 1/2"d. Imprint Area: Top of Quarter Mark (Standard): 3/4" dia., 2 color(s) max. Packaging: Polybagged Pack Of: 1000 Weight: 20 lbs. Green Repair Tool, Full Color Digital. Imprint Area: 7/8" W x 5/8" H Packaging: Bulk packed. Weight: Approx. 15 lbs./M. A neoprene eyeglass retainer for sunglasses, work glasses or any kind of eyewear. The neoprene makes for a soft comfortable fit and will float. Great for boating and outdoors. Available in 2 sizes. Note: Second color printing requires additional set up and run charges - please call. 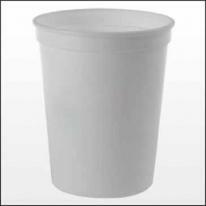 Size: 3/4"w x 12 1/3"h Imprint Area: 7"w x 3/4"h Carton Size: 11" height x 15" width x 13" length Carton Weight: 11 lbs/600 pcs. Molded with a 3/8" name slot on the front. Product Size: 3 5/8" x 5" Imprint Area: 3"W x 4"H Top 3"W x 1 1/2"H Bottom 3"W x 4"H Packaging Dimensions: 18"(L) X 12"(W) X 7"(H) Units Per Box: 250 Shipping Weight: 20 lbs. Molded with a 3/8" name slot on the front. Black Golf Tags made from recycled material. Product Size: 4" x 5-3/8" Imprint Area: 3-1/4"W x 4"H irregular Packaging Dimensions: 18"(L) X 12"(W) X 7"(H) Units Per Box: 250 Shipping Weight: 20 lbs. 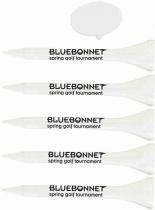 Four 3-1/4" Tees 1 Ball Marker Priced per pack includes one color imprint. 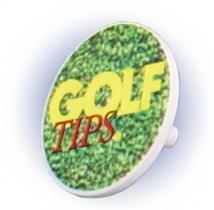 Item Colors: Ball Marker: Black, Lt. Blue, Blue, Red, Yellow, Beige, White. Tees: White, Black, Blue, Green, Natural, Orange, Red, Yellow. Imprint Area: Tee: 7/16" H x 1 1/2" W. Ball Marker: 1/2" Diameter Packaging: Bulk. Individually poly-bagged Shipping Weight: Approx. 8 lbs. per 500. 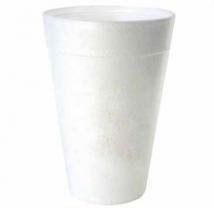 2-3/4" tee 4 tees per pack. Size: 2-3/4" Imprint Area: 1-3/8" W x 7/16" H Packaging: Bulk packed. Weight: Approx. 22 lbs./M. 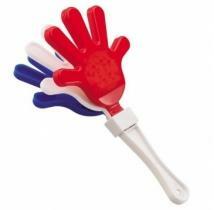 Contains 5 long golf tees. Less than 1st column quantity not available. Imprint Area: 7/16"h x 1-3/8"w Packaging: Bulk. Shipping Weight: 5 Shipping Quantity: 250. 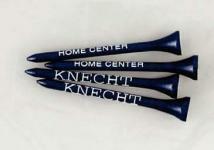 Custom Hang-Itz with a one standard color imprint. 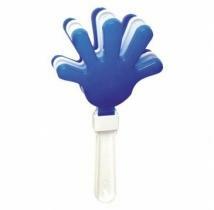 The Hang-Itz has an adhesive tab on the back with a removable layer to expose the adhesive to affix an item. 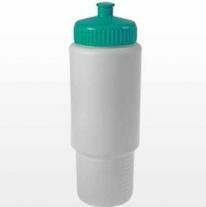 The Hang-Itz attaches to a standard bottled water (not included). Imprint Area: 1 1/4"W x 2"H Filled Carton: 10 1/2" x 10 1/2" x 11 5/8" Quantity Per Carton Filled: 1000 Carton Shipping Weight Filled: 15. 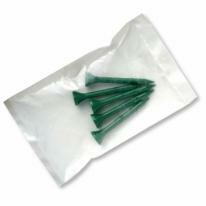 2-1/8" tee 5 tees per pack. 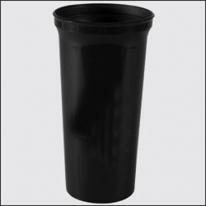 Size: 2-1/8" Imprint Area: 1" W x 7/16" H Packaging: Bulk packed. Weight: Approx. 23 lbs./M. Five 3-1/4" Tees 1 Ball Marker. Item Colors: Ball Marker: Black, Lt. Blue, Dk. Blue, Red, Yellow, Beige, White. Tees: White, Black, Blue, Green, Natural, Orange, Red, Yellow. Imprint Area: 7/16" H x 1-1/2"W Packaging: Bulk. Individually poly-bagged Shipping Weight: Approx. 10 lbs. per 500. 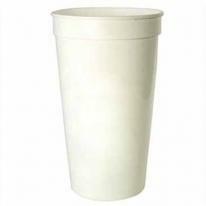 2-3/4" tee 5 tees per pack. Size: 2-3/4" Imprint Area: 1-3/8" W x 7/16" H Packaging: Bulk packed. Weight: Approx. 25 lbs./M. 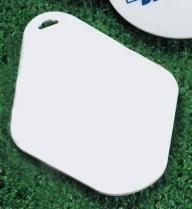 Round golf tags. Individually poly bagged. Strap is about 3/8th of an inch wide. 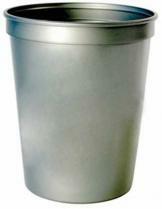 Size: 4" Diameter Max Imprint Area: 3" Diameter WT_100: 6 LBS. Paper-Proof: $10. (Required on all labels). 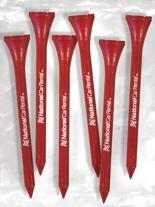 2-1/8" tee 6 tees per pack. Size: 2-1/8" Imprint Area: 1" W x 7/16" H Packaging: Bulk packed. Weight: Approx. 26 lbs./M. 2-3/4" tee 6 tees per pack. Size: 2-3/4" Imprint Area: 1-3/8" W x 7/16" H Packaging: Bulk packed. Weight: Approx. 28 lbs./M. A neoprene eyeglass retainer for sunglasses, work glasses or any kind of eyewear. The neoprene makes for a soft comfortable fit and will float. Great for boating and outdoors. Available in 2 sizes. Note: Second color printing requires additional set up and run charges - please call. Size: 1 3/4"w x 16 1/2"h Imprint Area: 8"w x 1 3/8"h Carton Size: 14" height x 17" width x 20" length Carton Weight: 11 lbs/600 pcs. 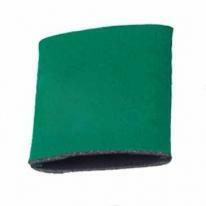 Screen printed Silicone Wristbands All silicone wristbands are available in 2 Sizes Adult 8� x 1/2� or Youth 7�X1/2� Imprint - Deboss Area - Adult 6�-3/8�l x 5/16�h Imprint - Deboss Area -Youth 5-3/4� l X 5/16�h Other sizes available please contact factory For Additional Imprint Color Add .06 For Color Fill Add .12 For Multi Color, Segmented Or Swirl Add .06 For Glow In The Dark Add .12 Packing - Individual Cello Bags Options- Header Cards, Insert cards please contact factory for pricing 1,000 Pcs. / 17 Lbs For quantities over 10,000 please call for pricing. 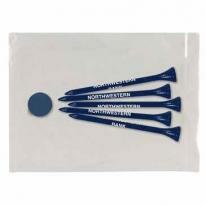 6 tee golf pack with ball marker. Size : 3 7/8" x 2 1/2"
4 2-3/4" Tees 1 Ball Marker. Packaging: Bulk packed. Weight: Approx. 24 lbs./M. 4 2-1/8" Tees 1 Ball Marker. Packaging: Bulk packed. Weight: Approx. 21 lbs./M. 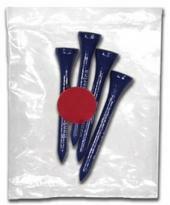 Sand Trap Pak Product Includes: 6 imprinted 2-3/4" tees, 2 imprinted quarter marks. Tee Item Colors: Assorted Colors, Black, Blue, Dark Blue, Natural, Red, White, Yellow. 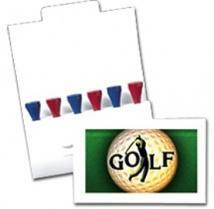 Ballmarker Colors: Assorted Colors, Black, Dark Blue, Red, White, Yellow. 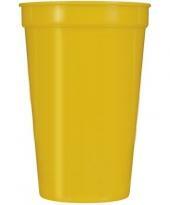 Size : 4"w x 6"h x 1/2"d. Imprint Size: Top of Quarter Mark, 3/4" dia., 2 color(s) max. Notes: Components have black imprint and come in assorted colors unless specified. Packaging: Polybagged Pack Of: 1000 Weight: 20 lbs.